Description: SHOWHOME! 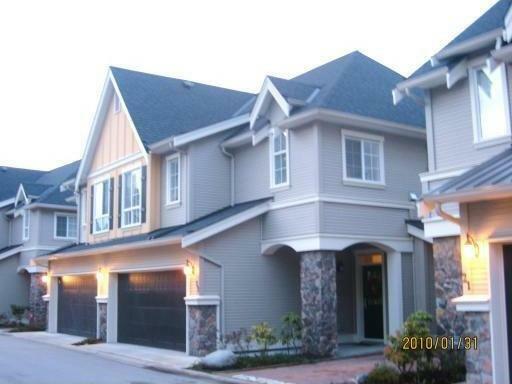 Cassis duplex style townhouse located at Steveston and Gilbert Road. Away from busy road, this 2 1/2 yrs quiet corner unit (S,N and E exposure) features 1737 SF, 3 large bdrms, 2.5 baths, double SxS garage and huge backyard. This former SHOWHOME is quality upgraded with custom painting, elegant tiles entry, dark walnut wood flooring throughout living room, stone F/P, granite countertops in kitchen and bathrooms, S/S appliances, custom wine cabinets, quality carpet, built-in vacuum, security system and more...Spacious and bright just like a single house. School catchment of famous Steveston-London High and Maple Lane Elem. Balance of 2-5-10 New Home Warranty. First open house Feb 6, Saturday from 1:30-3:30.